Interim Dean Kevin James, PHD. Interim Dean, College of Business and Economics (COBE) is Dr. Kevin James. Dr. Kevin James earned his B.B.A. in accounting from Middle Tennessee State University and worked four years as a financial statement auditor with Price Waterhouse before obtaining an M.B.A. In 2000, he earned a Ph.D. in accounting from The University of Tennessee at Knoxville and joined the faculty of Middle Tennessee State University. 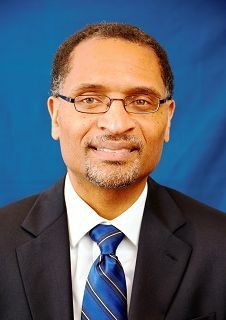 Dr. James has served as department chair at North Carolina A&T since July 2010. He is an actively licensed Certified Public Accountant and serves as a member of the Pre-certification Education Executive Committee of the American Institute of Certified Public Accountants. He is also a member of the American Accounting Association and Association of Certified Fraud Examiners. Dr. James has presented and published numerous articles on professional accounting and diversity issues.